Formulated with active moisturizing ingredients, Hyaluronic Acid, and has a special molecular structure that can pack water molecules tightly. It is packed with Aloe Vera, Algae and Cosphingo™, these ingredients work together to ensure a long-lasting soothing and moisturizing. Apart from that, it also contains Malvasylvestris Complex and Watercress Leaf extracts which helps to reduce skin's roughness and dullness; and with a perfect blend of the Amica Montana and Ruscus Aculeatus extracts, it helps to improve the skin's elasticity and firmness. Well, this is my NUMBER ONE all-time favorite hydrating mask ever! It moisturizes the skin inside and out, leaving skin well moisturized, radiant-looking and soft to the touch. Simply love it! Strawberries are high in antioxidants and contain rich amounts of fruit acids, minerals and enzymes. They are a natural source of Salicylic Acid, which are good for acne-prone skin. Combined with the active lactic acid ingredients found in Yogurt, which is a natural source of AHAs, it moisturizes the skin and improves skin's texture while balancing skin's sebum production. It also helps to improve the appearance of enlarged pores and remove any excess oily shine. Not only that, it is packed with Cosphingo™ and Arbutin extracts which hydrates and locks moisture as well as brightens up dull skin complexion. 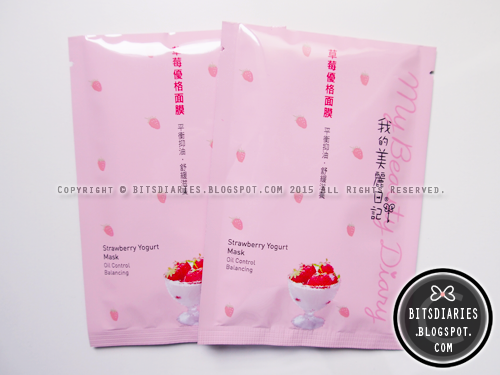 Another favorite sheet mask from My Beauty Diary~ I have to say that strawberry and yogurt are a perfect combination~! They work wonders for normal to oily to acne prone skin, including sensitive skin! Jeju Volcanic Pore Clay Mask contains 3000mg of Jeju Volcanic Cluster, which intensively absorbs sebum, deep cleanses, unclogs pores leaving skin feeling clean, soft and smooth and breakout-free without drying the skin! It tightens the pores and also improves dull skin complexion, leaving skin looking brighter and more radiant. Super Volcanic Pore Clay Mask contains 6020mg of Jeju Volcanic scoria and scoria capsules that gives a powerful pore cleansing and sebum control effect. It sloughs off dull dead skin cells and deep cleanses the skin, leaving skin healthy-looking, brighter and clean. It also helps to control sebum production and minimize the appearance of enlarged pores. I decided to put these two together as they work fairly similar just that one is more stronger (for super oily - combination skin) and one is more gentle (for normal - dry skin). I use the Original and Super versions on rotational basis, depending on my skin's condition. For more info, be sure to check out my reviews (links provided previously). 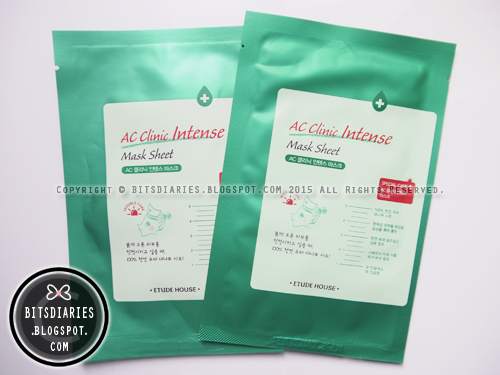 A 2-steps effective deep cleansing + pore minimizing masks~! Step 1: Blackhead Steam Pore Pack, formulated with purifying active-charcoal, gives off a warm steam effect that deep cleanses, purifies the pores (removing all the impurities) and eliminates clogged pores. It contains mild exfoliating particles which sloughs off dead skin cells, leaving skin refreshed and brighter-looking. At the same time, it helps with sebum control. In my opinion, it is a perfect product to use on nose prior to applying a nose strip. As it steams the pores, it loosens the gunks and makes them easier to get pulled out by the nose strip. Tried and tested! Step 2: Pore Original Pack, formulated with Glacier Clay and active volcanic ash which absorb impurities and excess sebum. It gives off a cooling, minty effect that soothes the skin and tightens sagging, enlarged pores. With the addition of Alaskan Glacial Water, antioxidant Grape Seed Oil and patented, eco-certified ingredients, it provides intense hydration to the skin, enhances skin complexion and further soothes and revitalizes stressed skin. 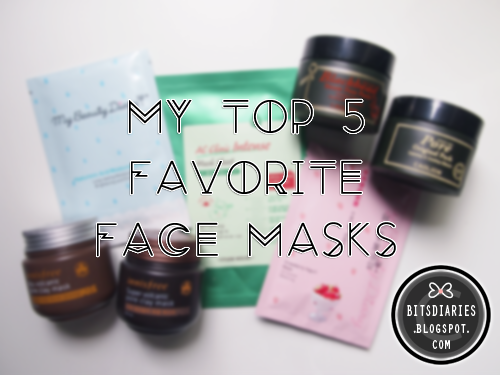 Both are must-haves deep cleansing + pore minimizing masks! I will do a full review on these two products in the future. Formulated with active acne ingredient, Salicylic Acid, which helps clear and prevent new acne blemishes from forming. Whenever I get a breakout or going to get one (e.g. before and during the time of the month), I will use this mask. It helps to speed up the healing process of the pimples during a breakout and when used prior to a breakout, it kind of controls and reduces the severity of the upcoming breakout. In my opinion, this is the most effective mask to deal with pimples! Side note: Comparing this with My Beauty Diary Strawberry Yogurt Mask, this is stronger hence, it may not be suitable for very sensitive skin. 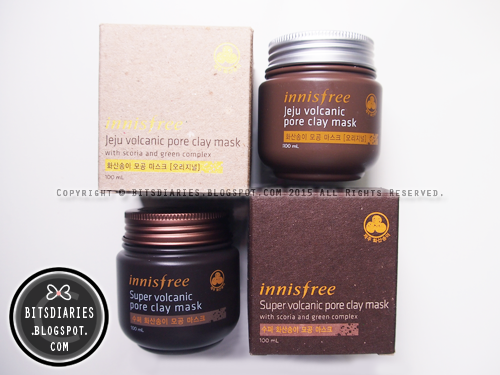 After reading this post, I was reminded that I wanted to try the Innisfree Super Volcanic Pore Clay mask for so long. Thanks for sharing! 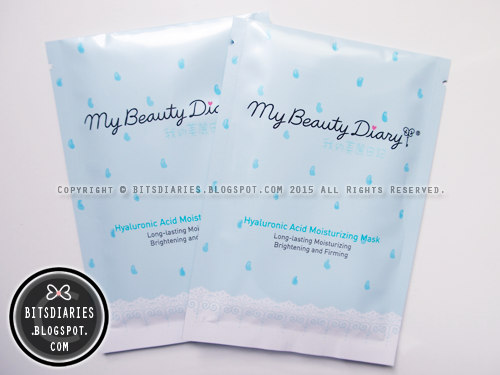 Would love to try the Beauty Diary mask as well. Minimizing pores has been my target for 2015. 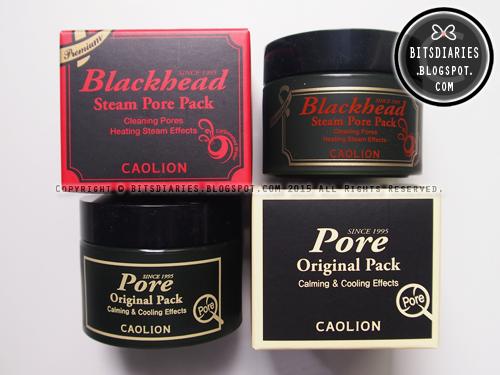 Will be waiting for your review on Caolion Blackhead Steam Pore Pack & Pore Original Pack. I am still in the process of searching for the best remedy to minimize my pores and need to be very sure before applying anything on my face.